studio.HD is the multitrack app for songwriters, producers and musicians. It offers eight multilayered audio tracks (24 total of playback!) with recording, editing, loops and automated mixing plus effects controlled by an elegant touch interface. Get ideas down fast and work with them anywhere! Version 1.6 adds support for linear recording and playback mode. NEW via user requests, higher resolution waveform display. From recording a rap to a beat – to catching the spark of a song before it goes – to producing dance mixes in the airport – regardless of genre, studio.HD ignites creativity. Great for creating iMovie and Podcast soundtracks, or custom mixes for iTunes too! Loop Sets logically group instrument parts (drums, bass, guitars, keys, etc.) that work well together. Audition loops at current tempo playing with the current Project. Get a great selection of Loop Sets (installed and via download) in Electronic, Rock, Pop, Industrial, Country, Funk styles and more. 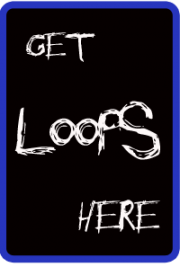 All the loops in Looptastic HD! Hit a creative wall? Buy some loops and get the juices flowing or grab one of the free sets on the store. 8 TRACKS + LAYERS = 24 TRACKS of AUDIO PLAYBACK! studio.HD accommodates multiple layers per track to give you at least 24 tracks! Workflow is optimized to reduce the endless scrolling found in other apps. Record time limited only by storage! RECORD YOUR BEST … then make it better! Just hit Record, listen to the count-off and jam! Use Loop Record to lay down a few takes and choose your best or edit together a hybrid. Touching the track multiple times can put switch between Record, Play or Mute. ARRANGE YOUR SONG WITH YOUR BARE HANDS! Grab your audio parts and Edit, Delete, Copy, Paste and Loop them to make your composition the way you want it. Zoom in and out of your arrangement and to fly quickly to a measure. studio.HD even “Auto-Zooms” to put your whole composition in view with a double-touch. All operations intelligently snap to Bar/Beat based on Zoom level. Regions can be overlapping and layered on each track. Layered Regions explode for selection. A Loop Control Bar lets you loop a play/record area PLUS select all parts on all tracks within that area for editing together whole verses and choruses. Grab the end/beginning of a Region to Loop/repeat it. Multitouch “2-finger” dragging copies a part. 10 levels of Undo just in case you make a mistake. Split lets you cut longer files into smaller pieces and the new CROP feature lets you create new versions of your recordings that ONLY contain the part you want to keep AND lets you loop it easier. AUTOMATED MIXING WITH VOLUME, PANNING AND 14 EFFECTS! Each track has volume control and up to 4 real time effects, all with automation. Effects include Low and High Pass Filtering, Compressor, Gate, Stutter Loop, Stutter Stepped, Stutter Gate, Bitcrusher, Flanger, Glitchy Repeater, Delay plus Pan and Reverb! An X-Y touch pad controls effects and faders control volume. Throw some compression and reverb on the overall mix to bind it together. Import your 44.1/16 bit AIF and WAV files from Mac and PC using iTunes File Sharing and App Documents. See only recordings associated with your project. Delete recordings by simply dragging them off the timeline. Mistakes? Just hit “Undo”. New “My Loops” lets you reuse recordings across multiple projects. Create a 16/44 AIFF mix and save it to your Mac/PC using iTunes. Wow your friends with a mix of your latest song! Copy audio from an app that supports Sonoma Audio Copy/Paste and paste it to a track. Copy a recording out of studio.HD and paste it into another app for extra effects and/or editing.